As far as civil construction is concerned, the northern portion of Australia typically doesn't receive as much attention as the south. For one thing, the most populous cities lie further south, which hasn't driven much interest in developing the northern parts of Queensland, Western Australia (WA) and, of course, the Northern Territory (NT). Serving as a comprehensive plan with multiple projects in the works, there's no doubt this initiative will require the expertise of water engineers, structural specialists and other such professionals. The north may not be a major topic of discussion in the media, but it's economy has offered promise. A green paper released by the Department of the Prime Minister and the Cabinet noted that global interest in natural resources, for example, prompted the construction of the Ichthys Liquefied Natural Gas Project - the largest building initiative ever to take place in the Northern Territory. Northern Australia is known for its unique landscape, but what about it's economy? About one million people in Australia call the north their home - approximately 5 per cent of the nation's population. However, it has grown 0.4 per cent more than the rest of Australia over the past decade. Most of those residing in the north inhabit northeast Queensland. Northern Australia also has plenty of natural resources. Bauxite, uranium, iron ore, base metals, oil and gas are just a few commodities energy and mining companies are interested in accessing. Despite the fact that more than 60 per cent of Australia's total rainfall occurs in the north, a few parts are known as some of the most arid regions in the country. Lake Argyle, in Western Australia, for example, loses about a quarter of its volume every year due to evaporation. This presents a unique challenge to water engineers who will need to figure out how to conserve natural water season when the drier parts of the year roll around. 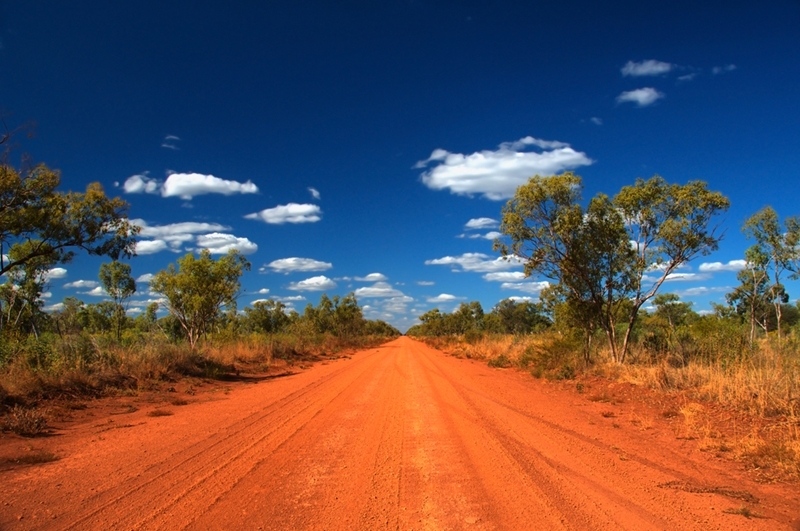 In general, environmental engineers will have to apply myriad concepts in order to support infrastructure development initiatives throughout Northern Australia. All things considered, it's a diverse region, meaning one solution in Northeast Queensland may not be applicable in other parts, for example. In a recent article, we discussed some of the engineering priorities highlighted in the Bruce Highway Action Plan, which aims to renovate the disruption-prone motorway. However, the state government isn't stopping at improving Queenlsand's traffic infrastructure. A recent announcement by the Queensland Cabinet and Ministerial Directory maintained that green energy investment is on the agenda. According to Minister Assisting the Premier on North Queensland Coralee O'Rourke, Townsville may be the first of many municipalities to have a service station where electric vehicle (EV) drivers can plug in. The power won't come from coal-fired plants, but rather on-site solar panels. "Our vision is for this to be the start of an 'electric super highway' by facilitating fast-charging service locations for drivers travelling up and down the length of Queensland," said Mrs O'Rourke. "Up to two electric vehicles could charge at the same time, with an expected average charge time of 15-30 minutes." The initiative is being supported by both Economic Development Queensland (EDQ) and Ergon Energy. The latter is offering small businesses the chance to lease 25 kilowatts (kW) of solar panels, while EDQ will help enterprises cover the costs of leasing EV charge equipment. How will EVs impact Queensland's transit infrastructure? At first glance, it's hard to imagine that EVs would have a dramatic impact on urban engineering solutions, highway traffic, and Queensland's wider transportation infrastructure. The Energy Supply Association of Australia (ESAA) wrote a discussion paper that alluded to these concerns, highlighting a mix of concerns and benefits. When developing urban streets or highways, traffic analysts always consider how their decisions will impact driver safety. Road safety audits, impact assessments and intersection capacity analyses​ all provide insight into this concern. Because EVs don't have large combustion engines, EVs typically weigh less than gas-powered vehicles. EV manufacturers can utilise this lighter weight to improve their automobiles' structural safety, according to the ESAA. This trait also makes for a vehicle that is more easy to manoeuvre, suggesting that drivers will be able to exercise better control. The idea of placing solar panels at petrol stations to provide power for electric vehicles may relieve pressures on the main grid. Researchers from the University of New South Wales noted that the average EV has a range of about 160 kilometres. While the technology is improving, this range means those travelling long distances will have to charge up quite frequently. Assuming that EVs become immensely popular in the state, Queensland's grid will have to accommodate them. No matter what sort of solution an engineer is developing, be it water or structural, he or she must understand the environmental repercussions of those projects. Given the fact that humans are the dominant species on the planet, it's easy to forget that we're a part of a global ecological community. Like any living organism, our actions have an effect on our ecosystems. The SPA emphasises three ideals. In 2009, Queensland passed the Sustainable Planning Act (SPA), which serves as a framework under which developers and other parties can establish and execute ecologically-conscious projects. This article will discuss some of the larger points within the SPA and how they impact engineering. Protecting the integrity and operability of natural systems on a local, regional, State and greater level. Upholding the cultural, fiscal, physical and social prosperity of people and communities. In regard to these values, engineers must determine how their solutions will impact not only the environment, but also economic opportunities and social development. What are the monetary implications of installing a berm? How will this bridge impact communal connectivity? These are just a few examples of the questions specialists must ask themselves. The SPA provides a formula to structural engineers and other such specialists committed to developing ecologically sustainable solutions. The Act identifies this practice as the Integrated Development Assessment System (IDAS). Before construction begins, Engineers must determine how their solutions impact ecosystems. The IDAS is designed to consider legislative policies while supporting flexibility in case original plans need to be adjusted. As any experienced engineer knows, changes are bound to occur, so it's constructive to adhere to a system that allows experts to make adjustments when necessary. Comprehensive: Considers approvals for all projects occurring in the state. Scaleable: Applicable to both small and complex solutions. Modular: Guides four phases inherently found in development initiatives. Assuring: Assesses a solution's ability to deliver functions optimally. Balanced: Ensures everything between community needs and legal obligations are adhered to. Accountable: Forces participants and stakeholders to hold themselves responsible for any and all decisions made. From the outside looking in, IDAS leaves no room for error. It favours thoroughness so that no specific items compromise the success and sustainability of a solution. The SPA leaves no room for error. Legislation or not, it delivers an effective set of rules that can help environmental engineers and other parties create solutions that do not waste the precious resources our earth has to offer. Whenever a city's population expands, its infrastructure encounters greater stress. Some regions handle this pressure better than others. If traffic engineers develop roadways designed to handle projected expansion, communities will experience minimal disruption. Queensland officials are hoping they can achieve this feat in the near future. Queensland may have to accommodate 7.1 million people by 2036. Recent figures from the Queensland Government Statistician's Office shows that the state's population rose by 70,540 people between June 2013 and June 2014, a 1.5 per cent growth rate. Currently, more than 4.7 million individuals call Queensland home. Assuming medium rates of natural increase and migration remain consistent, Queensland will have to accommodate 7.1 million people by 2036, according to the Queensland Treasury. This means that Brisbane, the Gold Coast and other cities throughout the state must be prepared to support a greater number of workers and families. Does the state have a plan? The DILGP recognised the interests of bodies such as the Business Council of Australia (BCA) and Public Infrastructure Productivity Commission. The BCA called for thorough assessments that detailed projected land usage trends. In addition, the organisation expressed the need for public infrastructure development initiatives directly tied to strategic plans. From the BCA's perspective, these strategies should be scrutinised by third parties to determine their effectiveness and feasibility. Put simply: There's no room for wasted or ineffective investments. It's evident that specialists will need to develop well-researched, feasible civil engineering plans. Highways, urban public transport and city road expenses are expected to increase markedly over the next 16 years. The Australian Infrastructure Audit showed that government-funded transit and roadways' direct economic contribution will increase 138 per cent between 2011 and 2031, reaching $4.47 billion. As business relationships between Gold Coast and Brisbane intensify, Infrastructure Australia asserts that the number of passenger hours travelled (PHT) in a given day will rise. Currently, the Carindale to Brisbane Inner bus route experiences 1,850 PHT on a daily basis. These statistics shouldn't be cause for panic. Instead, developers must keep these insights in mind when creating infrastructure investment strategies. The future of Queensland's economy depends on it. Between 1990 and 2012, Queensland's carbon dioxide emissions output rose from 78.8 million tonnes to 134.5 million tonnes, according to the state government. Whether or not you believe climate change to be fact or fiction, there's no doubt that public authorities are developing policies geared toward curtailing this trend. Queensland's implementation of the 5-star energy code for multi-unit residential buildings is an example of such standards. Although all new multi-residential dwellings must be designed according to the 5-star rating standard, structural engineers can leverage it as an assessment model. Doing so will help them identify ways to expand the standard, developing more eco-friendly multi-tenant housing. Although developers may feel morally gratified by funding sustainable construction projects, they don't want to lose money after doing so. Like any similar initiative, the finished product must have a market price that does not exorbitantly exceed the mean or median cost. All owners and/or managers believed their structures were resilient to future energy expenses and more stringent building legislation. Owners typically marketed their dwellings' sustainability to attract tenants. In a related matter, buildings with Green Star ratings "appear easier to sell." There is a strong correlation between long-term leases (i.e. 15- to 20- year agreements) and sustainable residential structures. According to the Queensland Department of Housing and Public Works, a building's sustainability largely depends on its shell design - the walls, windows, floor and roof. For the most part, positioning and facade composition determine just how green a structure is. Passive design decisions, while promoting energy efficiency, can be integrated with little to no costs. Orienting living areas toward the north, decreasing the number of east- and west-facing windows and installing wider eaves or window awnings are all actions that foster sustainability. Identifying green materials isn't as simple as some may think. 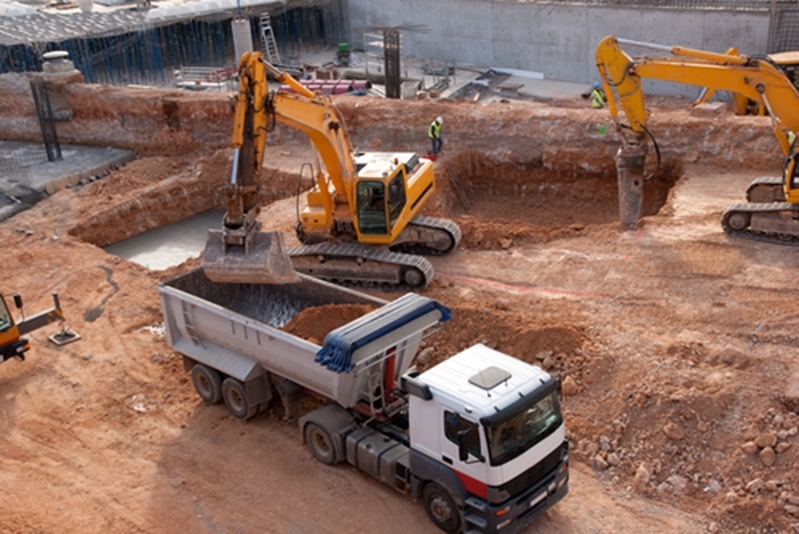 When engineering consultants consider the eco-friendliness of construction products, they assess the energy used to produce, and transport them. They also consider how easily materials can be recycled and the emissions caused by the manufacturing process. Sustainable building is a multifaceted endeavour. Between design principles and careful selection of materials, green development supports a more compatible future between humans and global ecosystems. How is Queensland preparing for the Gold Coast 2018 Commonwealth Games? A tradition that coincided with the coronation of King George the Fifth in 1911, The Commonwealth Games features competitions and exhibitions from boxers, swimmers and other athletes from throughout the Commonwealth of Nations. In 2018, Gold Coast is scheduled to host the fabled event. Some people may be asking whether the city will make a viable host. Both city planners and civil engineers based in Queensland are doing all they can to prepare the area's infrastructure and sporting arenas. If last year's event in Glasgow, Scotland are any indication of what Gold Coast will encounter in 2018, the city certainly has its work cut out for it. According to the Glasgow 2014 Commonwealth Games website, the organisers sold approximately 1.2 million tickets. Preparing Gold Coast, as well as its sports facilities, for the Commonwealth Games requires a mix of technical insights and demographic behaviours. While traffic engineers may conduct parking studies, marketers could provide developers with insights into which facilities will accommodate the greatest number of attendees. The Coomera Indoor Sports Centre and Queensland State Velodrome are two out of 18 buildings that will serve the purposes of the Commonwealth Games. A fact sheet detailing the Velodrome's development states that approximately 31,000 cubic metres of spoil will be removed from the site and recycled during construction. When completed, the venue will deliver a 250-metre timber cycling track and a function room capable of accommodating up to 100 people, among other facilities. The Coomera Indoor Sports Centre isn't going to leave anything to be desired, either. A $40 million-dollar endeavour, the building will feature eight mixed-use sports courts and a gymnastics arena. It will also provide 350 permanent seats and be capable of expanding to a capacity of 7,600 if necessary. In summation, Queensland isn't putting these projects on the back burner. The state is taking constructive measures to accommodate the many attendees the Commonwealth games will likely attract. The completion of the Western Corridor Recycled Water Project marked a monumental time in South East Queensland's water engineering history. A $2.5 billion project, the Queensland Department of State Development lauded it as the largest recycled water scheme ever built in Australia. The system is an impressive feat, capable of supplying up to 232 megalitres of purified, recycled water on a daily basis. 1. What should be detailed in a recycled water management plan? 2. Does Queensland classify recycled water? The Queensland Department of Energy and Water Supply (DEWS) assigns recycled water either A+, A, B, C or D classifications if the liquid is sourced from a utility's sewage system. The same categorisation also applies when a water provider uses sewage or effluent to produce recycled water. DEWS uses log reduction metrics (percentage of microorganisms eliminated or mollified via a certain process) to develop classifications. So, when a recycled water scheme's virus filtration system receives a '4-log' rating, it means the solution removed 99.99 per cent of viruses. 3. What classification must drinking water receive? Bacteria (Salmonella, Escherichia colia, etc.) must register an 8-log valuation. Viruses (Adenovirus, Hepatitis A and Coronavirus) must receive a 9.5-log rating. Protozoa (Cryptosporidium, Naeglergia fowleri) requires an 8-log appraisal. Helminths (parasites or worms) must receive an 8-log appraisal. In this regard the A+, A, B, C and D categories do not apply, as the aforementioned valuations exceeded the standards highlighted in each of these classifications. Given the effects of climate change, concerns regarding devastating droughts and other such issues, recycled water will likely become an integral part of Queensland's metropolitan infrastructures and rural communities. In 2012, the Bruce Highway Technical Advisory Group was put in charge of creating a 10 year 'Crisis Action Plan' to address the issues posed by Queensland's Bruce Highway. Upon consulting traffic engineers as to what could be done, the authority created an action plan that outlined the motorways problems and actionable solutions. The Bruce Highway is approximately 1,700 kilometres long, and serves as Queensland's primary north-south transportation corridor, running from Cairns to Brisbane along the coast. Given that these, as well as the other cities along the Pacific Ocean are essential to the state economy, it's not surprising that authorities are giving so much attention to renovating the motorway. There's a reason why the Technical Advisory Group referred to the Bruce Highway as a crisis. Studies have identified the corridor as one of the most dangerous roads in Australia. More than 17 per cent of fatal road accidents occur on the Bruce Highway. Flooding is another major concern. Authorities have identified nine areas that, on average, close for longer than 48 hours every year due to ineffective water engineering solutions. An another six locations are shut down for more than five days because of the same issue. On top of these concerns, both urban and rural traffic along the Bruce Highway is expected to increase in tandem with economic development. Congestion has worsened from Brisbane to Maryborough and other areas. Average travel speed (ATS) is greatly impacted by the number of heavy-duty vehicles on the road. For the most part, the ATS is higher in median lane than it is in the shoulder lane, even when traffic density is the same between the two. It is often advisable to regard each lane separately when performing traffic studies, because lane position typically has the greatest effect on traffic performance. What's being done to fix the Bruce Highway? To address flooding issues, engineers are drafting solutions that will dramatically decrease delays. The goal is to design embankments that can withstand peak flood events. Extra lanes are scheduled to be constructed in key rural areas were only temporary relief is required. Two-lane portions near metropolitan areas will be upgraded to four-lane or six-lane stretches, depending on current congestion data. The project is currently underway, and is scheduled to be completed by 2022. It's hoped that these additions will sustain future traffic trends. While structural engineers draw from fundamental principles when designing commercial facilities, they also adjust designs according to prospective locations. Constructing a warehouse in Longreach, Queensland carries different implications than building a 20-storey office complex in downtown Brisbane. Of course, each structure has a different form and function - one supports traditional white collar operations while the other caters to logistics. Yet, it's also necessary to address environmental disparities between Longreach and Brisbane. The latter is a coastal metropolis while the former is an outback township. In regard to building in Brisbane, what would structural engineers and developers need to be aware of? Natural disasters have cost Queensland more than $5.4 billion in recent years. Why Brisbane? According to the South East Queensland (SEQ) Council of Mayors, SEQ is a rapidly growing region, and will house approximately one in six Australians within the next two decades. Given this estimate, demand for both commercial and residential property is increasing. The Council released a document proposing a joint effort between itself and the Federal government to support infrastructure initiatives throughout the region. The first priority it highlighted was bolstering SEQ's ability to recover from and resist natural disasters. According to the Council, natural disasters have cost Queensland more than $5.4 billion in recent years. These expenses are associated with the reinstatement of assets that have been impacted by such events. What sort of natural disasters is SEQ up against? Queensland Disaster Management conducted a state-wide risk assessment of natural disasters in 2012, collecting data from 1900 to 2011. 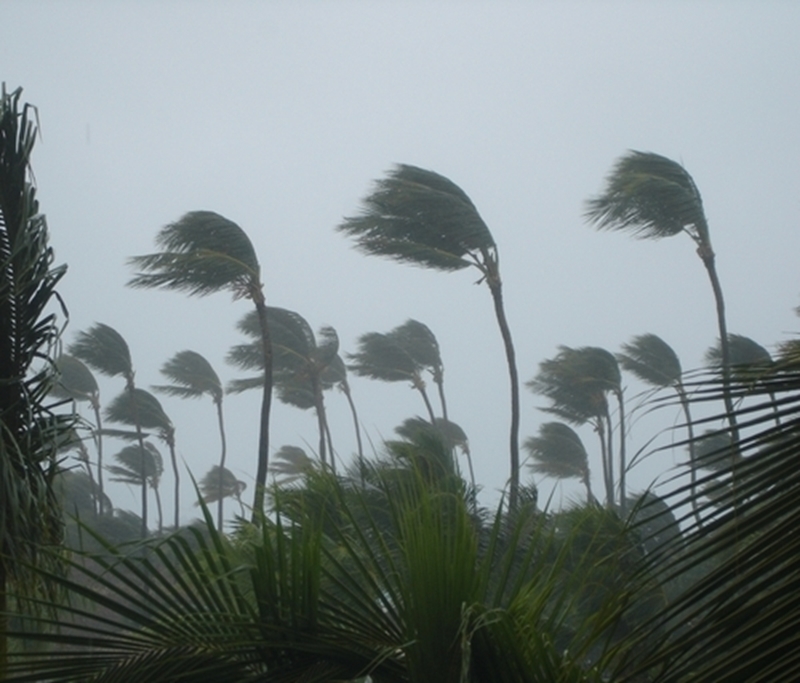 The analysis concluded that tropical cyclones and flooding were the two greatest natural threats to Queensland. Combined, these two hazards accounted for approximately 72 per cent of structural damage. Flooding has caused 50 per cent of Queensland's total building losses. These are all factors structural engineers working in SEQ are likely cognisant of these issues. The question is, how are they applying this knowledge when spearheading commercial construction projects? Tropical cyclones pose a risk to SEQ. Engineers take a few basic measures to ensure buildings are resistant to cyclones, many of which were detailed by the Development Workshop Foundation. For one thing, use a regular shape for the basic structure layout to reduce pressure concentration. Then, strengthen junctions to reinforce the building's bracin. Ultimately, choosing a location that does not receive the full wind force is a good necessary measure to take. As for floods, if a building is going to be located in a vulnerable location, it's recommended that the lowest level be raised above anticipated flood levels. Some situations may warrant the construction of floodwalls, but these aren't always necessary. SEQ offers a lot of economic promise, but it can be detrimentally affected by disaster-related disruptions. Developing commercial real estate that are built for floods, cyclones and other events ensures that fiscal activity can progress uninterrupted. Constructing an industrial solar farm has a number of implications on Queensland's existing infrastructure. Integrating these energy assets into a complex network of civil solutions isn't as simple as plugging into the grid. Careful analysis of civil systems by city planning experts reduces the chances of project hindrances occurring. Before construction commences, engineers must conduct several assessments to determine where solar fields can be positioned. That being said, is Queensland primed for solar projects? A bright summer day in Queensland produces 1,400 Watts W/m2. In a May 15 statement, Minister for Energy and Water Supply Mark Bailey asserted the public authority's willingness to do whatever it can for developers expressing tangible interest in building commercial or industrial-grade solar projects. This statement comes at a time when investment in renewable technology remains quite meagre, despite the fact that a bright summer day in Queensland can produce around 1,400 Watts per square metre (W/m2), according to The University of Queensland. What are the preliminary concerns? The Queensland Department of Energy and Water Supply (DEWS) created a comprehensive guide to assist municipalities and project managers working to launch utility-scale solar farms. Many of the processes described within the DEWS' model could be conducted by a civil engineering consulting knowledgeable of Queensland's regions. Speaking of location, this was the first item the DEWS recommended stakeholders analyse. A solar field should be constructed in an area where sunshine is consistently abundant and electricity distribution facilities readily accessible. 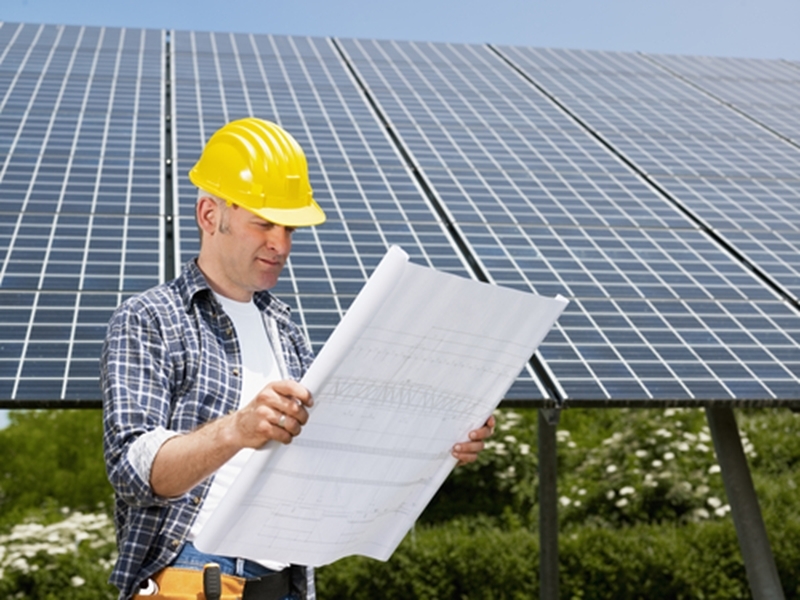 Assessing a solar field's feasibility is part of an engineer's job. At this point, the engineering team must create a connection enquiry based on mandates cited in Chapter 5 of the National Electricity Rules Version 71. Chapter 5 details connection requirements for "Registered Participants" looking to feed electricity into a transmission network. Once the steps above are addressed, the project team can move forward with establishing a granular blueprint of how the endeavour will be executed. Again, legislation will have to be taken into account. For instance, if a solar field near Gold Coast is proposed, a team of Gold Coast-based engineers should address the city's litigious requirements. Consulting the Department of State Development, Infrastructure and Planning is also a good measure to take. Compounding expenses related to construction, installation and the expected output of the solar farm (once it's operational). Connecting project managers with local investors interested in such ventures. Overall, working with an engineering consultancy that knows the lay of the land streamlines the regulatory appraisal process. Specific knowledge regarding Queensland's energy portfolio certainly won't hurt, either.